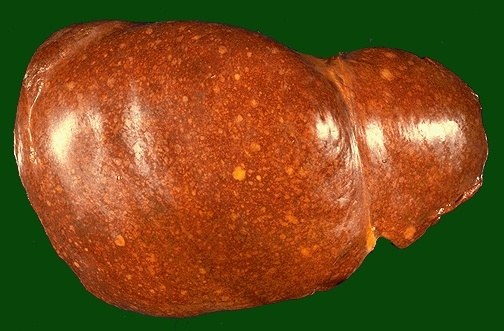 This is a liver that is involved with Hodgkin's disease. The staging of Hodgkin's disease is very important in determining therapy. Thus, it is important to determine whether the patient has only a single lymph node region involved, multiple node regions, or extranodal involvement. This picture could probably suffice for non-Hodgkin's lymphomatous hepatic disease as well.